Provides a constant supply voltage to the connected Signature Series speaker or subwoofer LED's, ensuring stable illumination of up to 10 Signature Speakers/Subwoofers. Protection of output short circut and input over voltage are included. The MS-VREGLED's Dim Input enables switching between two user-adjustable LED brightness settings. The brightness level of each setting are able to be adjusted from the brightness controls on the MS-VREGLED to match any environment. When using the regulator you can choose whether to illuminate the vessel or power down the lights. With the flick of a switch change between blue or white illumination. 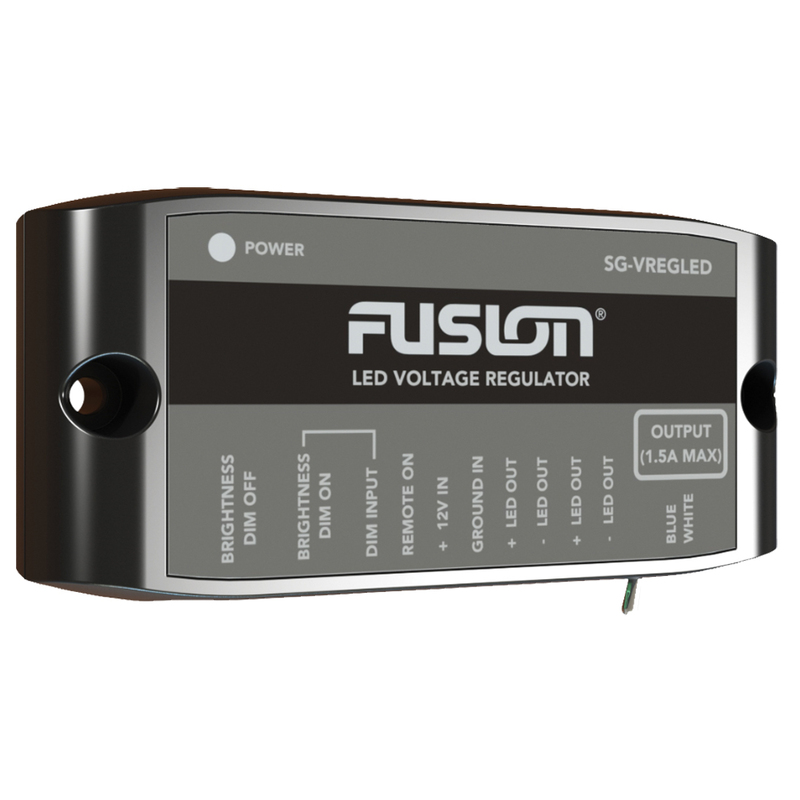 The MS-VREGLED LED voltage regulator will work with any of the below FUSION Signature Series products (limit 10 per regulator). Multiple MS-VREGLED can be installed for large installations.